Advocating for people in need is a longstanding goal for Ancito. 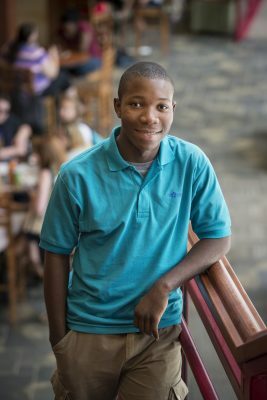 By the time he started college, he had already launched an orphanage in his native Haiti and had spent months volunteering in the aftermath of a catastrophic earthquake there in 2010. As detailed in a Lynchburg News & Advance story during his freshman year, his close-up view of poverty and devastation made him change career goals. Rather than become a doctor, he wanted to make policies that would provide a more sustainable, equitable economy. 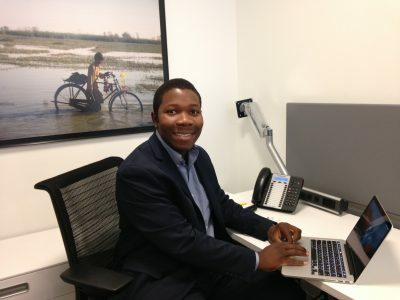 He said several facets of his experience at LC have prepared him for the internship: his economics research classes provided practical skills, the Bonner Leader program stoked his passion for policy work, and the Westover Honors program provided challenging experiences that prepared him to work quickly with in-depth material.